Want to insert the title and brief description of your targeted action in your email blast without having to retype it? Use this tool to automatically insert this content and a Take action now! link. You can use all dynamic content (Targeted Action text) in regular email blasts and streaming emails. 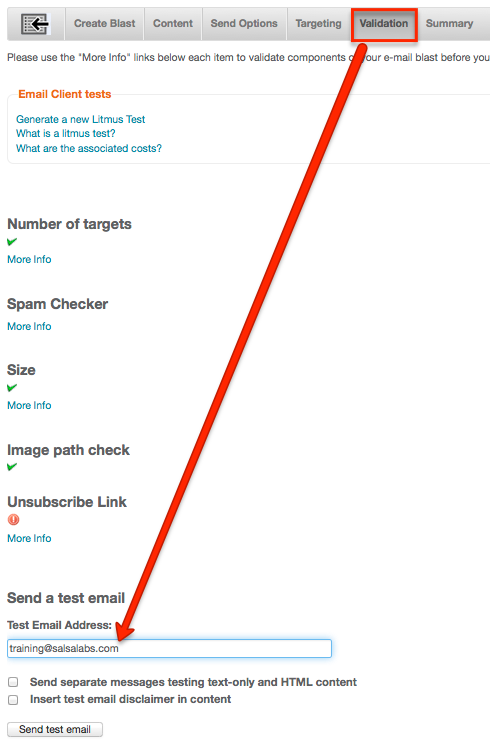 Put your cursor where you'd like the dynamic email content (the Targeted Action text) to go. Once your cursor is in the right place, use the Add dynamic content drop down menu and select Actions. This will open a pop up window. Select Action: Search for and select the Targeted Action from which you would like to insert content. 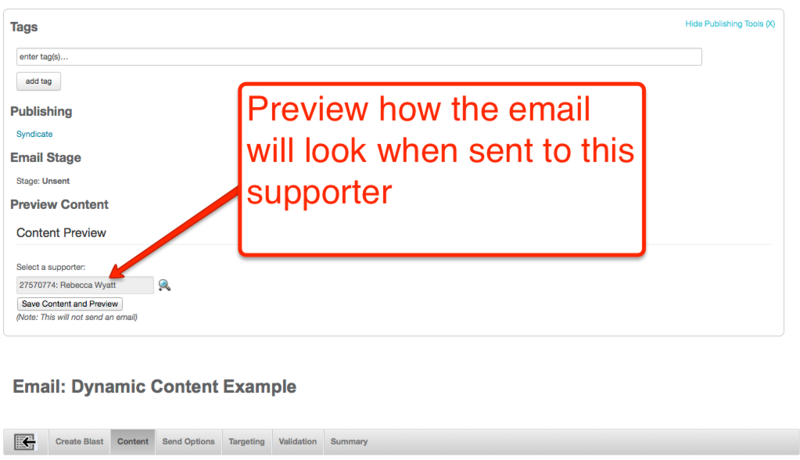 As a result, the title, brief description and a link to the Targeted Action, will be inserted into your email content.